We have over 700 acres of Hill Country pasture to hunt our sizable population of turkey. We scout Rio Grande Turkey year-round to determine optimal locations for our visitors. 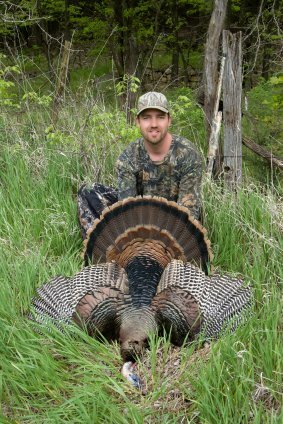 Like our Whitetail population, our turkey are world-class. Hunters may choose a method of hunting to suit his/her tastes, but we recommend Blind/Feeder hunts and/or we’ll simply drop you off to roam a section of the ranch. Visitors may carry shotguns, bows, and/or rifles and are free to coax the animals with calls.